Is Lower Southwood Cottage in Exeter haunted? Lower Southwood Cottage is a family run home, lying just on the eastern outskirts of Exeter in Devon. Consisting of two cottages, the buildings date from the early 17th century. The land was originally owned by the Sainthill family until 1812 when the Porter family took charge. 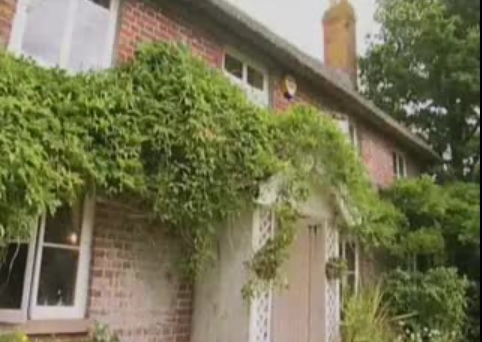 The cottages have been no more than a normal family home (aside from acting as a farmhouse early on) their whole life. So what is it that sparked it's sudden influx of spiritual activity? The cottages have housed a family living in fear through nearly 4 decades of disturbing phenomena, with many violent tales of poltergeist behavior... According to one resident on the 3rd of March 2003 he awoke in the middle of the night and after getting a glass of water, found an entire downstairs room "completely trashed", with chairs tipped up, tables against the door and knives sticking out of a chopping board. Maybe even more shocking is that the family found their cat (that they'd left locked in it's cage whilst they were out) out of the cage and their pet dog in the cage, with a chair up against the door! So who may be causing these horrifying events? One spirit who was prevalent at the time was Mike Brodie, father of the owner Penny and husband to Barbie. He sadly died in 2000 and was constantly with his wife and family in spirit form due to their longing to be with one another. The spirit to blame for the poltergeist activity isn't Mike Brodie, but a former owner from 200 - 250 years ago. His name is unknown, but he's been described as an "attention grabber" with a long, pale face and hook-like nose. Mediums often describe his energy being like a black mass and "not well defined".